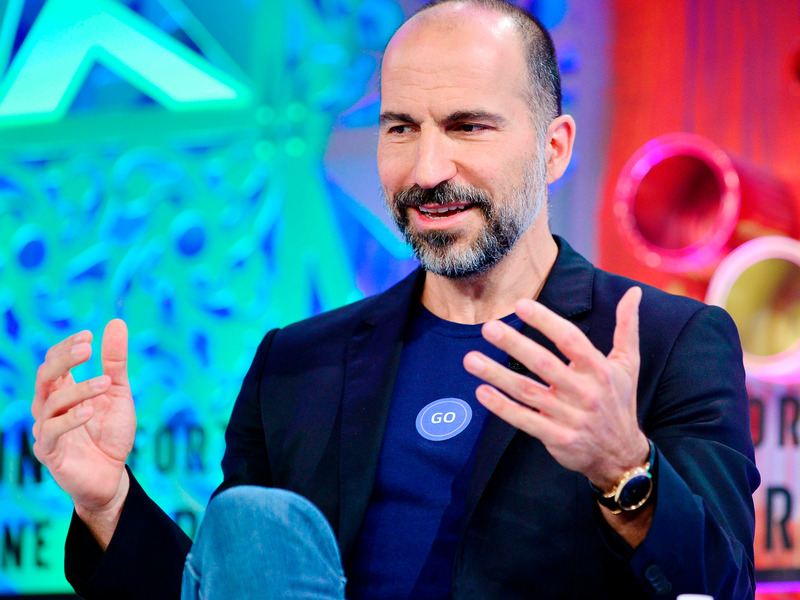 Dara Khosrowshahi has commented on speculation that Uber is in talks to buy $US2 billion British food delivery firm Deliveroo. He said Uber is happy with its own delivery business, Uber Eats, but is in talks with many players around the world. Deliveroo CEO Will Shu told Business Insider earlier this month that the firm is not for sale. Uber CEO Dara Khosrowshahi has dropped a hint that his company is looking to buy Deliveroo, the British food delivery company valued at $US2 billion. Khosrowshahi is in London this week, where he announced plans to make all of the taxis it operates in the British capital electric by 2025. During his visit, he was asked about reports that Uber is pursuing the acquisition of Deliveroo, a darling of the UK tech startup scene, and a rival to its Uber eats business. Bloomberg originally reported on the talks, which Business Insider sources have since confirmed. Khosrowshahi didn’t exactly downplay speculation over a deal.According to Reuters, he told reporters that while Uber is happy with the performance of Uber Eats, it is talking to many players around the world. Deliveroo is one of Europe’s biggest startup success stories. Founded in 2013 by Americans Will Shu and Greg Orlowski, it enlists contract employees as couriers, who deliver food from local restaurants in some 200 cities all over the UK, Europe, Asia, and Australia.